Have you ever noticed how restaurants always give you a straw in your drink, whether or not you asked for one? These small disposable tubes are a convenience that we have gotten used to over the years, but they have a great impact on the environment. It has been estimated that we use one straw every 4 minutes, and throw them away as soon< as we’re done with them. They’re not biodegradable, meaning that the earth’s micro organisms can’t recycle them naturally and they take 200 years to finally decompose. Awareness was brought to this issue after marine biologists in Costa Rica filmed the suffering of a turtle as a plastic straw was being removed from it’s nose. Straws not only affect sea life, but also the birds that get their food from the ocean. It has been estimated that 10 million tons of plastic end up in the ocean every year, and out of those 10 million, 100 thousand are disposable plastic straws. And if that wasn’t enough, it’s very hard to recycle straws. For you to have an idea, 500 thousand straws are used daily, in the USA alone. 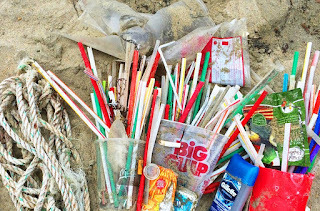 The good news is that there are places in the world, such as Malibu, Seattle, Vancouver and even the United Kingdom that have banned the use of straws. Some businesses, such as Starbucks, have also promised to get rid of all plastic straws. But it's not only the environment that suffers from use of straws. They can also have a negative impact on our health. First of all, drinking through a straw causes more air to enter our digestive system, which increases the probability of flatulence and bloating. Another negative side effect is a larger risk of cavities and stains on your teeth. 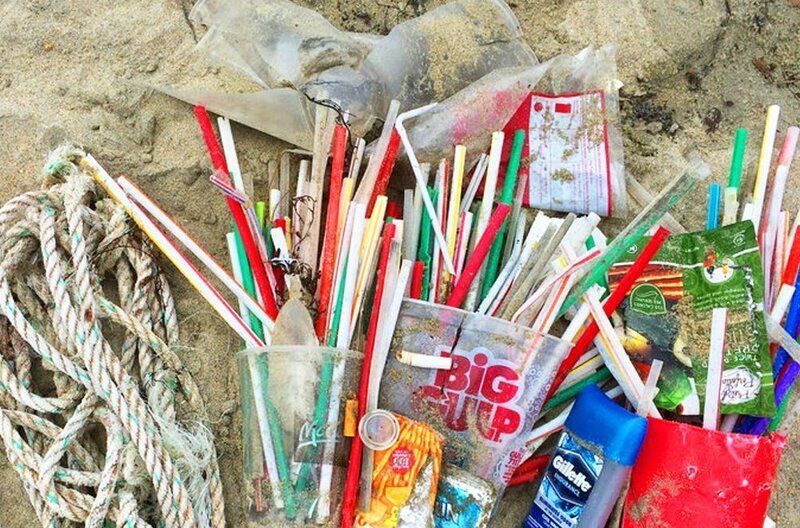 Many people believe that using straws can help prevent these problems. But this is only true if the straw carries the liquid straight to our throat, avoiding all contact with the rest of our mouth, including our teeth. Furthermore, the regular use of straws can cause wrinkles to appear around your mouth, similar to the ones that appear when people smoke. And, the materials used to make straws can have an impact on our endocrine system. According to the researcher and nutritionist, Christy Brissette, the polypropylene in plastic straws can filter into the water and affect our body’s estrogen levels, being highly carcenogenic. She considers most plastics to be harmful to our health, and recommends that we avoid them as often as possible. Either way, now that we know about all of the risks tied to plastic straws, we should rethink our decisions. If you have no problems drinking, it's always best to drink straight from your cup. If for any reason you need a straw to be able to drink, there are alternatives made from other materials such as bamboo, glass, and straw, that are less harmful to our health and the environment.